Head to the National Gallery of Victoria (NGV) this Spring and Summer and explore a number of kid friendly exhibitions - most of them free! 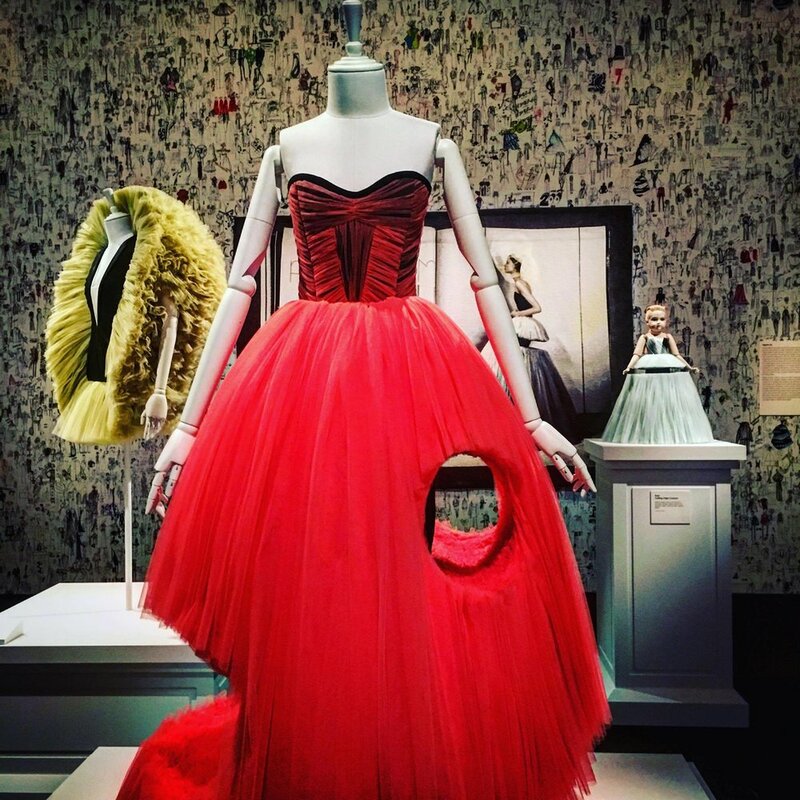 Viktor & Rolf: Fashion Artists (ticketed) - a beautiful installation featuring 40 of Viktor & Rolf's haute couture pieces. Our review here. Closes 26th Feb 2017. 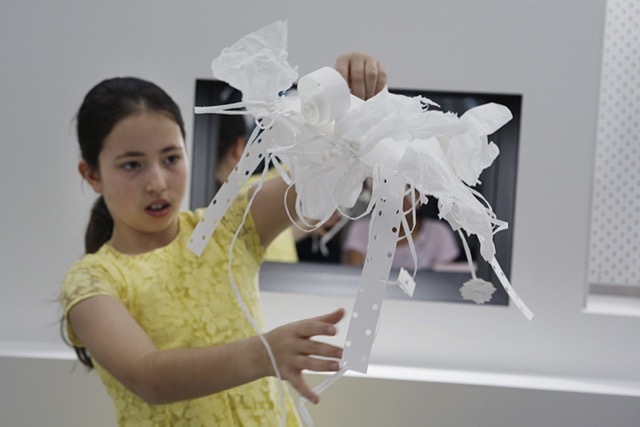 Atelier: Viktor&Rolf for Kids (free) - a beautiful kids installation where kids can create collars, bows and elaborate ruffles and take a video or selfie in special booths. Our review here. Closes 26th Feb 2017. David Hockney: Current (ticketed) - little artists will like this exhibition as it explores a great deal of colour and the use of iPads and iPhones as a medium. Our review here. Closes 13th March 2017. 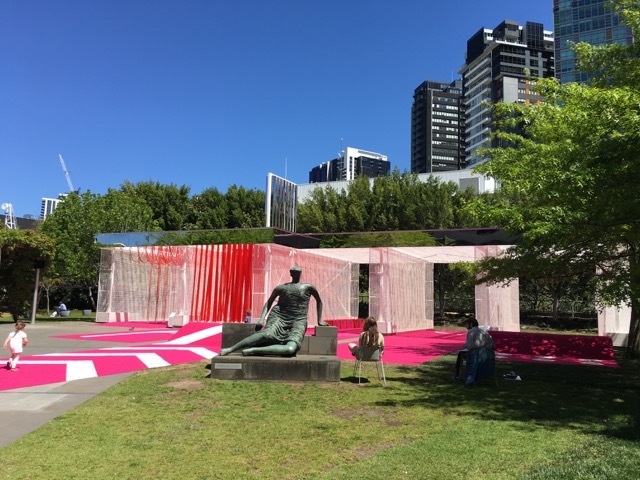 NGV Garden's Neon Pink Car Wash Design (free) - a fun neon pink car wash design with mist and all to explore in the NGV Gardens. Our review here. Closes April 2017. Lee Mingwei: The Moving Garden (free) - an interactive installation near the water wall. Our review here. Closes 29th Jan 2017. 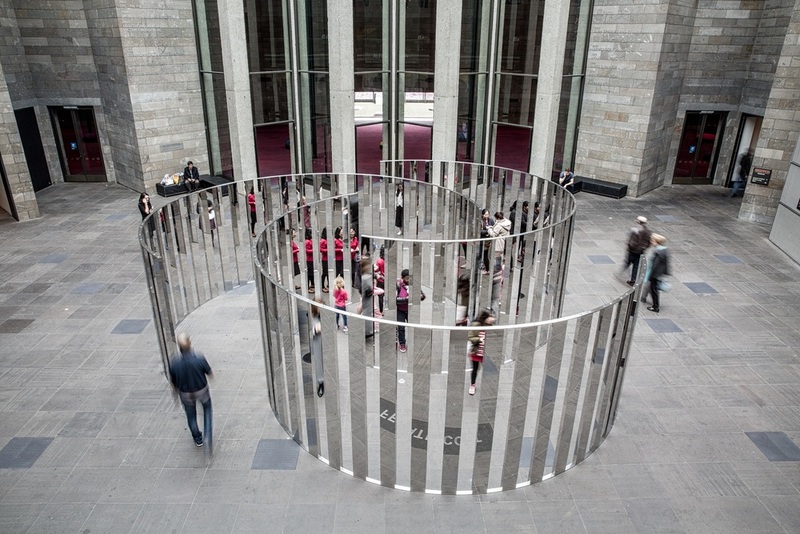 Jeppe Hein: Semicircular Space (free) - perfect selfie installation. Our review here. Closes 26th Feb 2017. 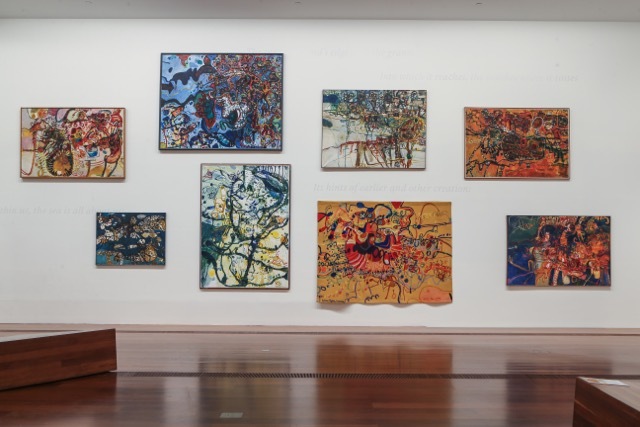 John Olsen: The You Beaut Country (ticketed) - a true Australian artist's work with a little section for kids to participate in a John Olsen inspired drawing. Our review here. Closes 12th Feb 2017. Bruce Armstrong: An Anthology of Strange Creatures (free) - fun sculptures the kids will like. Closes 29th Jan 2017. Sally Gabori: Land of All (free) - a colourful exhibition worth showing the kids. Our review here. Closes 29th Jan 2017.